If x, y, and z are positive integers, is y > x? Kudos for a corrector solution. Question : Is y > x? Statement 1, y^2=xz ---> if x=y=z =1 ,t hen "no" but if y=3, x=1, z=3, then "yes". This statement is not sufficient. Statement 2, z>x, not sufficient. Yes. Thanks. I meant to write z=9, y =3, x=1. It was a typo. S1: y^2=xz so y is geometric mean of x and z... which means y lies between x and z now possible combinations are x -y- z or z -y-x..so not sufficient. S2: Z-x>0 so z>x ?? what about y?? y could still be greater than or less than x.
s1+s2 - so only one combination left - x y z hence sufficient. 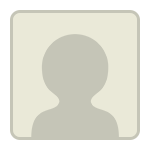 If you like my post, Pl. do not hesitate to press kudos!!!! 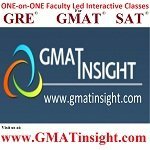 Q51 on GMAT - PM me if you need any help with GMAT QUANTS!!! But we do not know any thing about y. Hence Not Sufficient. Or x=1; y=2; z=4 then y>x insufficient. Stmt2: z>x. Nothing about y. Insufficient. What if you use 16 and 1. Then x =z so should be E right?